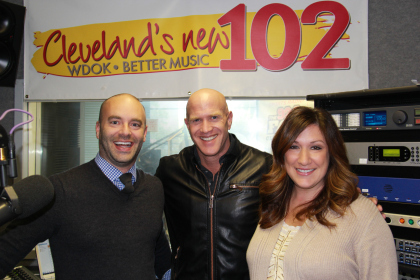 Bruno Gunn has given a great radio interview with Cleveland 102.1 FM, talking about Catching Fire! He talks about many things, including working with Jennifer Lawrence, pressures and expectations from The Hunger Games, his fitness training regime and the incredible worldwide fandom. "Everyone knew what a huge thing this was going to be. Everyone was focussed and ready to work, and put in the best work they can for this product. The movie looks amazing; Francis Lawrence has done a great job with it, and picked up where the first one left off. I think everyone's going to be really ecstatic and happy with it."